When we think about going to the dentist, joy is not usually our first thought. The dentist causes anxiety for many people and for understandable reasons. 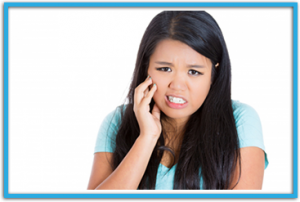 Pain, loud noises, and the unknown is associated with the dental industry. When you come to Ultra White Dental in Katy, we can put you at ease. Our dentist and our care team understands your worries and fears and wants you to feel as comfortable as possible. We also want you to be knowledgeable when it comes to dental procedures you may need. Dental crowns are a common necessity when it comes to caring for certain teeth within your mouth, and if you have been having pain or experienced some type of trauma, you may need one. Here are some other reasons you may need a dental crown. If a cavity has not been taken care of in a timely manner, it could grow exponentially in size. This causes the dentist to use other methods to cure the cavity for you, and a simple filling will just not do. If the filling used would have been half the tooth or more, a crown will be put in place. The tooth is just too fragile for the filling at this point and a crown will prevent the tooth becoming more weak, and even fracturing. Sometimes, people have a condition where, when they chew food a certain why, the tooth may crack and become very painful. Stress is produced when you chew and this may cause stress on the fracture lines within your tooth. A crown is a great option because it will hold your tooth together and protect it from the stress of chewing which is causing you the pain. Cusps are the part of the tooth that gets hit the most when you chew. The cusp can break off of the tooth and that can leave it open to fracture, and become damaged. Eventually, and unfortunately, this can break the tooth all the way down to the bone, which then, a crown lengthening procedure would need to be completed. This type of crown is a much more complex procedure and you would want to prevent this from needing to done. If you are a perpetual tooth grinder, this applies to you. If you grind your teeth it causes them to become shorter over time. Another way the teeth can wear down is due to acid erosion which can be caused by GERD, bulimia, or an extremely acidic diet. Eventually, the teeth would loose all enamel and your bite would collapse. The only way to rectify this would be to place crowns over the teeth that have been affected. Crowns sound like a scary solution, but sometimes they are necessary to protect you from the worst case scenarios. Our dentists at Ultra White Dental in Katy, always have your best interest in mind and we always want to help you with your dental care. If you think you fall into any of these categories please call us in Katy today!